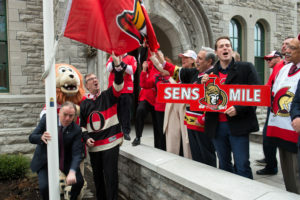 Congratulations to our Ottawa Senators, who have successfully defeated the Boston Bruins in the first round of the Stanley Cup Playoffs! 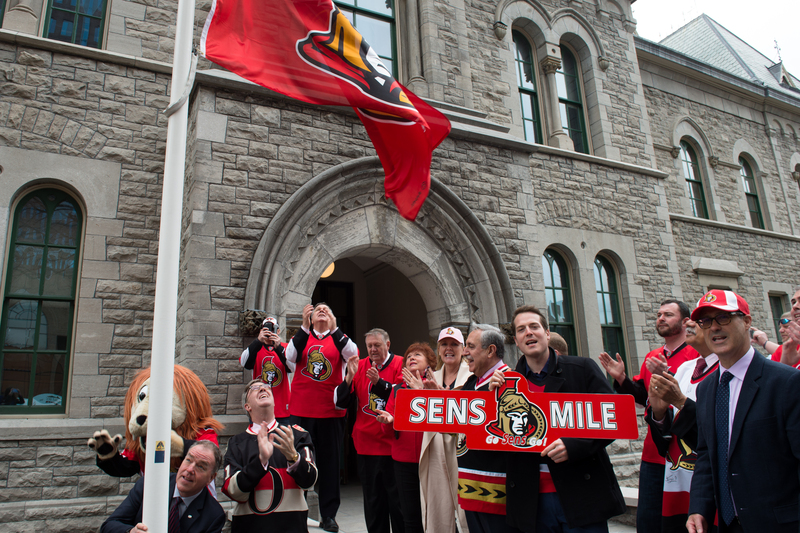 Ottawa is “All In” with Sens flag raised at City Hall, the Sens Mile signs installed on Elgin Street, and excellent support shown throughout the city. 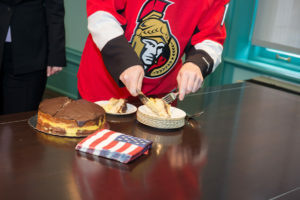 In light of our team’s victory over the Boston Bruins, Ms. Elizabeth Moore Aubin, Chargé d’Affaires at the United States Embassy, held her end of our bet and delivered a homemade Boston Cream pie to my office. 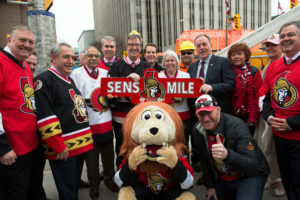 We wish the Ottawa Senators continued success as they will be facing the New York Rangers in the second round this Thursday. 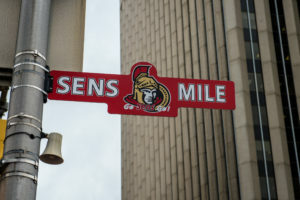 Go Sens Go!